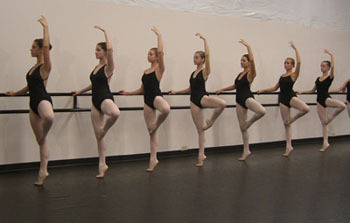 At the Tri-Cities Academy of Ballet and Music it is our goal to give students of all ages a love of the art, knowledge of the technique, commitment, self-discipline, poise, grace, and the skills they need to enjoy music and dance for a lifetime. We understand that most students probably do not want to be professional dancers or musicians, and we strive to give all students the same warm, caring, and rewarding experience. We are committed to providing the highest quality of instruction in a first rate facility, and to maintain an environment where students can learn dance in a friendly, professional atmosphere. As a parent we realize you have a choice between several different dance and music schools, but all studios are not the same. We invite you to join our school to learn, have fun and build skills and memories that will last a lifetime. "The purpose of arts education is not to produce more artists, though that is a byproduct. The real purpose of arts education is to create complete human beings capable of leading successful and productive lives in a free society."